Every year, Time magazine gets swamped with pitches from thousands of companies, all convinced their product deserves to be included in Time’s “25 Best Inventions” list. This past December, the magazine reserved its cover for a Pixar-like, 11-inch armless robot named Jibo. Jibo — a so-called “social robot” — is just the latest example of a clear phenomenon: A new generation of exponentially more intelligent and capable robots is on the way. In fact, they’re already everywhere we look: over our heads, in our cars and operating rooms, next to us on the assembly lines, in our military, and on the last mile. And the prospect of exponentially more robots, crunching exponentially more data, necessitates not just a lot more computing power but also an entirely new product architecture. An article written in 2015 by a former Pentagon robotics researcher looks more prescient by the day. 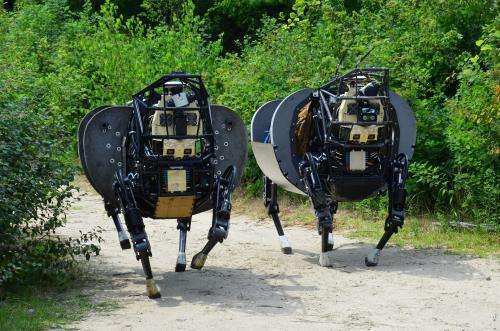 That summer, Gill Pratt, who oversaw robotics technology as a manager of the Defense Advanced Research Projects Agency (DARPA), said robot capabilities had crossed a key threshold. Improvements in electric energy storage and the exponential growth of computation power and data storage, he argued, had enabled robots to learn and make decisions informed by the experiences of other robots. His expectation back then? Robots would multiply like rabbits because they were no longer simple-minded, single-purposed machines. And as robots learn more and more, Pratt argued, more people will have uses for them. Today, that’s exactly what we’re seeing. 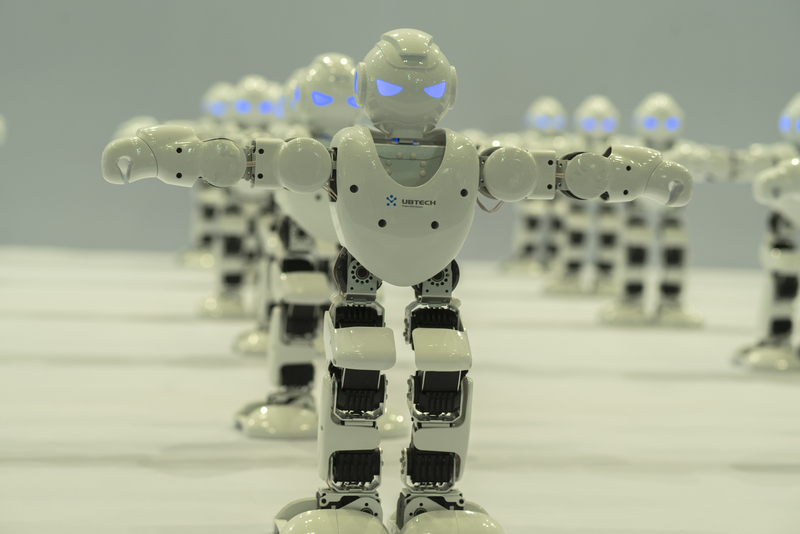 Demand for robotics is increasingly broad-based. Everybody seems to want them. To get a sense of this growth, consider: In 2014, the Boston Consulting Group forecast the global market for robotics would reach $67 billion over the coming decade. Just three years later, BCG last June revised that dollar figure upward – by another $20 billion. Industry has for decades been a core consumer of robotics. Today, the majority of the world’s robots are still used in factories. What’s different is that those robots are a lot smaller, more perceptive and more collaborative than their predecessors. And the flood of venture capital into the space ensures we’ll be seeing a lot more of them in our distribution centers and warehouses in coming years. Consider that between 2016 and 2017, venture capital investments in industrial robots more than tripled, from $402 million to $1.2 billion. Five years ago, startups in this same space raised just $195 million. Also interesting about this current robotics explosion is that companies from a wide swath of other industries, from retailers to hotels, are embracing the benefits of smarter machines. The insurance industry, for example, has begun using artificial intelligence tools like machine vision and natural language processing to handle claims. These expanding use cases help explain why Boston Consulting Group now expects the commercial robotics market to grow to $23 billion by 2025—34 percent higher than originally predicted. As we speak, there’s a fierce race to develop self-driving automotive technology. Autonomous vehicle startups raised $3 billion in 2017, more than three times the prior year’s take. Robot teachers and companions are attracting attention, too. And we can’t forget drones. Beyond their many commercial applications, particularly in security, personal drones are an increasingly popular gadget. Chinese drone maker DJI alone has raised more than $100 million from US venture capital firms. At their core, robots create a lot of data. In fact, that’s the only way they work. And several trends in robotics will increase demand for more processors and an entirely new product architecture. The coming wave of robots will need to hear more, see more and feel more. Each of those capabilities necessitates its own sensors, such as microphones, cameras and, to a lesser extent, touchscreen displays. And each of those requires its own processors. Then there’s the software underlying robotic capabilities. We believe AI, computer vision, natural language processing and blockchain will be the key enabling forces here. Robots will also have a greater need to communicate — both via the cloud, and without access to it. After all, many, if not most, of today’s robots are only as effective as their internet connections. And we expect the growing number and sophistication of robots will place enormous strain on network bandwidth, turning smart robots into slow ones. With all of this activity, it’s clear that the robot revolution is only just beginning.